Home » Blog » Property » DOWNTON SHABBY – A six-storey townhouse has been put on the market for almost £11 MILLION despite needing a fortune spent restoring it. A six-storey townhouse has been put on the market for almost £11 MILLION despite needing a fortune spent restoring it. Ormonde House was once a magnificent Grade II listed family home located in one of London’s most desirable areas. But in recent years it was used as a guesthouse and, while it looks like it is in good condition for most people, estate agents estimate the wealthy person who buys it will need to spend a further £2 million on a restoration. Planning permission has been awarded for the mansion, which is around seven times the size of the average family home, to be transformed into a luxurious family home. The home, on Eaton Gate, is full of classic features such as high ceilings and ornate details as well as boasting a stunning marble-floored reception hall. There is a grand dog-leg staircase with turned balusters and the original four-man wood and mirror panelled lift which services all floors. 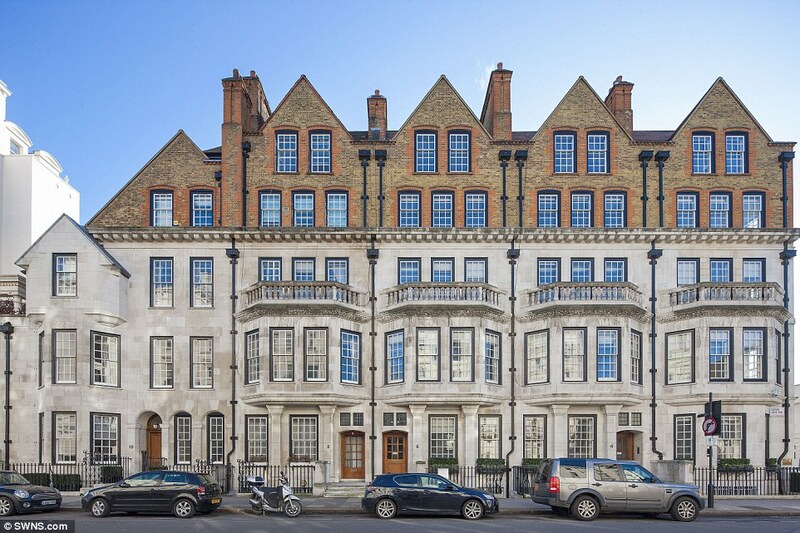 Ormonde House, which was built in 1905, has been put on the market with Pastor Real Estate for £10.8 million. David Lee, head of sales at the estate agency, said: “We are delighted to be acting as the sole agent for Ormonde House, 8 Eaton Gate. In its current set up, the house has formal dining room and wood panel lounge, complete with with coffered ceiling. On the ground floor, there is a formal dining room to the front of the property, where the ornate plaster work continues alongside wooden strip flooring with a feature parquet border. To the rear there is a wood panel lounge complete with coffered ceiling. To the lower ground floor, there is an original silver safe located under the stairs, large kitchen and space for staff quarters. Once remodelled it will provide ample space for a large showcase kitchen with wine room and flexible living space. Rising to the first floor there is a large formal reception room. Benefiting from the width of the property the large bay window allows for natural light to flood the room emphasising all of the original features. There are seven bedrooms, most with en-suite bathrooms, as well as staff quarters. In the planning permission granted, each floor of the Belgravia home will be redesigned with the creation of four spacious bedrooms. All will have an en-suite and dressing room. The estate agency said Ormonde House is a “magnificent blank canvass for an ambitious family looking to bag a bargain and settle in London’s most glamorous and sought after addresses”. Mr Lee added: “Ormonde House is currently on the market for £10.8million and requires between £1.7 – £2million worth of work.